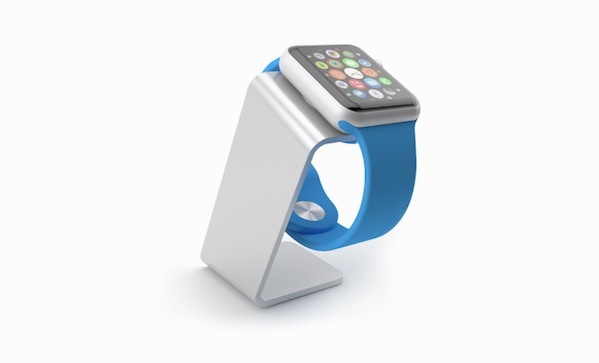 Need a minimalist watch stand to go with your minimalist Apple watch? That’s the idea behind the SAAT watch stand ($50), now available for pre-order. It has a hidden wire, to retain the minimalist look and so you can charge your watch while it’s on the stand. Oh, and your watch won’t slip off, thanks to high friction rubber.